IT technicians provide tech support. This can include a wide range of responsibilities: getting a printer to work, installing software, providing routine maintenance, answering questions, and so much more. Because the role often requires interactions with customers or fellow company employees, strong communication skills are a must, as well as technical abilities. Be sure to highlight your hard skills (certification, program knowledge, etc.) as well as soft skills (communications, problem-solving, etc.) on your resume. Include relevant skills on your resume. As mentioned above, it's a good idea to include both hard and soft skills on your resume. Not sure what to highlight? Review a list of IT skills, and incorporate the ones you possess on your resume. It is also helpful to closely read job descriptions for roles you want, and then match your qualifications to the role you are applying to. Weave mentions of skills into your experience section. You can also include a skills section, which can be a convenient place to list all programs that you are proficient with. Add a summary section. As you'll see in the sample resume below, a resume summary statement serves to highlight a candidate's achievements and qualifications for the job. A sharp, attention-grabbing summary can help you stand out from a sea of candidates. Note certifications. If you have received training or certifications, be sure to include this information. It makes you a more attractive candidate. Some job ads may even list desired certification qualifications. Include achievements. It's easy to get overly focused on listing skills and tasks completed in previous roles. Do not neglect to also highlight any achievements. If you were able to solve a major issue quickly, save the company money through a license audit, or were acknowledged as a team player, be sure to mention that on your resume. Use numbers. Look for opportunities to quantify tasks and accomplishments—that is, instead of saying "Answered employee questions and resolved issues," you could say "Responded to 100-plus emails daily from employees and resolved or escalated all issues within a two-hour window." Including numbers helps descriptions pop. 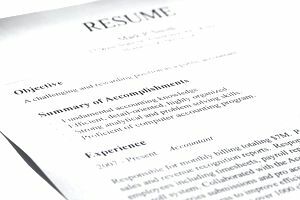 Get more tips for how to write an effective resume. The following is an example of a resume for an IT technician. As you'll see, it includes details on the applicant's academic education and training, and it lists the technical skills acquired by the candidate. Download the IT technician resume template (compatible with Google Docs and Word Online), or explore even more resume examples for inspiration. Do not copy the resume below exactly. Instead, use it as a starting point to create your own resume. Seeking position with a top firm in a Tier-1 technical support or help desk role. Experienced and knowledgeable information technology professional with 5+ years’ experience seeks to contribute her training and acquired skills within a Tier-1 technical support and/or help desk role. PENNSYLVANIA OFFICE OF INSPECTOR GENERAL, Harrisburg, Penn. Provide computer help via telephone with end-users while manning the desk-support operation. Document help desk tickets/resolutions and provide overall assistance in the daily administration of a Novell Netware 4.11 Network. Perform diagnostics and troubleshooting of multiple issues, document help desk tickets/resolutions, and maintain equipment inventory lists. TRI-COUNTY ASSOCIATION FOR THE BLIND, Harrisburg, Penn. Performed various administrative duties such as mass-mailings to support fundraising efforts for the blind. Compiled literature, prepared mailing labels and envelops, and disbursed collateral material. Managed the verification of all IBM equipment parts and assembled all collateral materials. SHIPPENSBURG UNIVERSITY OF PENNSYLVANIA, Shippensburg, Penn. Intranetware 4.11 Administration and 4.1a Advanced Administration Certification from KnowdgeSoft Inc.